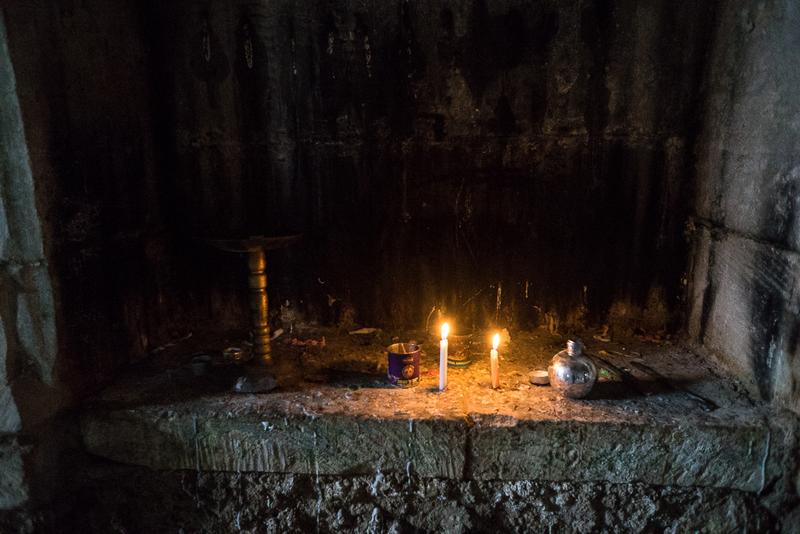 The tomb of prophet Nahum lies in Alqosh, 36°44’18.0″N 43°05’46.1″E and 565 metres high. 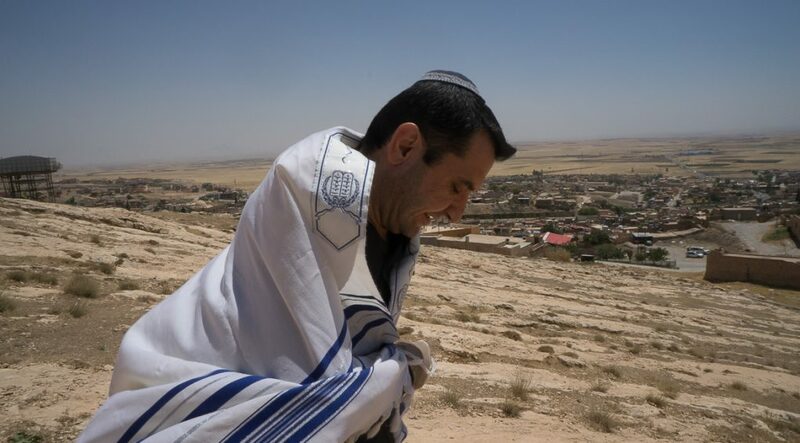 It reveals the wide integration of Jewish communities in Mesopotamia. It also points out the Jewish origin of the first local Christian communities. 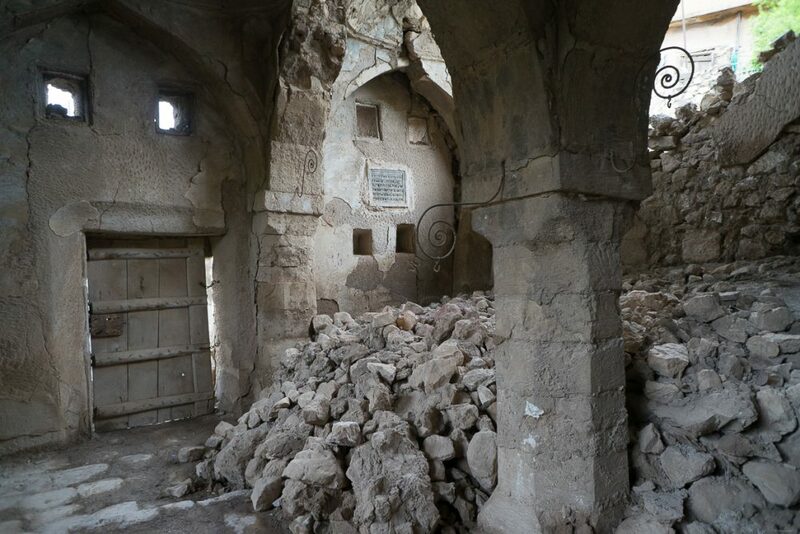 Nahum’s mausoleum is a coated-stones structure, today partially destroyed. 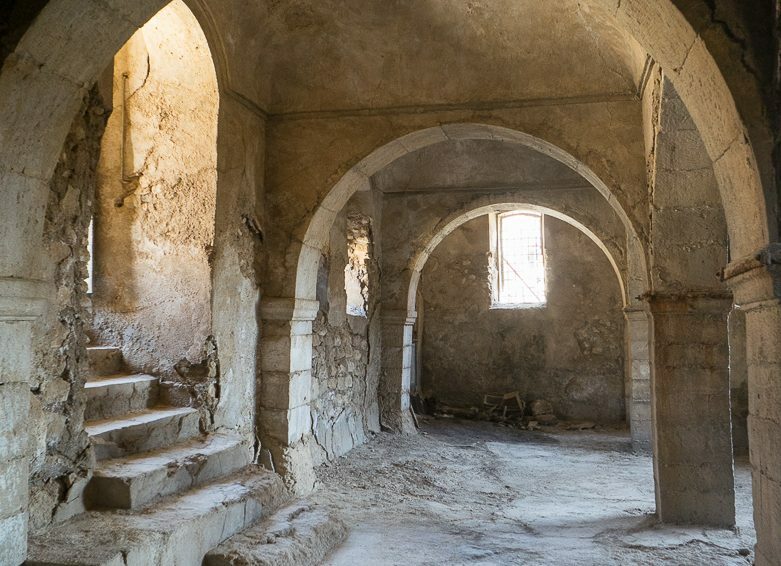 It consists undoutebdly of a synagogue, with in its centre, the prophet’s tomb and also, in the inner courtyard, the tomb of Sara, Nahum’s sister, and also a religious school and a storeroom. The building today is in an extremely poor and fragile state. 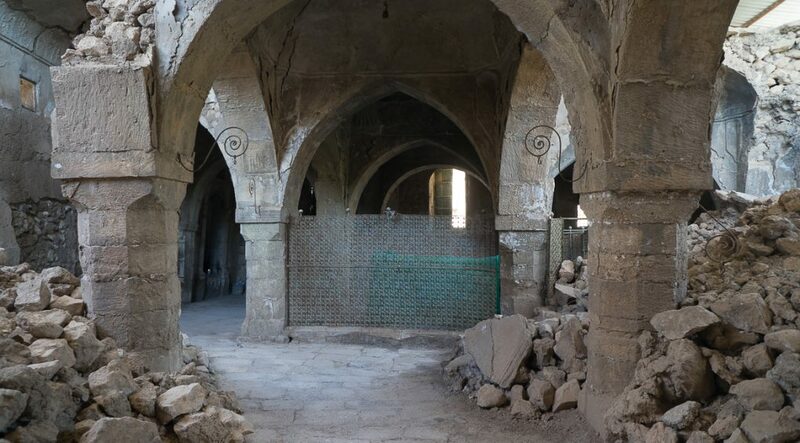 40 km north from Mosul and 10 km from the eastern bank of the Tigris river, Nahum’s tomb lies 36°44’18.0″N 43°05’46.1″E and 565 metres high, at the northern end of the city of Alqosh, Nineveh province. 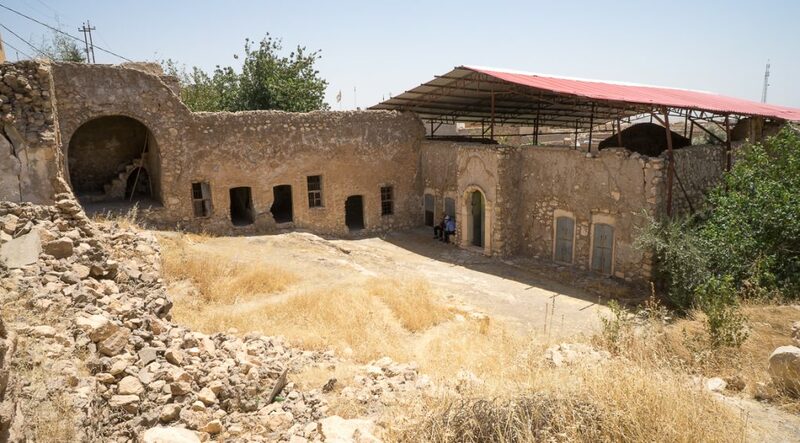 The Jewish shrine lies only 2 km west from the Rabban Hormizd monastery and the monastery of Our Lady of the Seeds, on a gentle slope at the foot of the limestone mountain range of Alqosh, just above the Chaldean churches of Mar Giwargis and Mar Mikha. Nahum is known in the Bible as the seventh of the twelve Minor Prophets. He lived in the 7th century BC. There are several versions concerning his place of birth. Some say he comes from the city of Elqosh, in Galilee, but the experts about Assyria assume he comes from Alqosh in Mesopotamia. He only featured in one of his prophecies’ book, the Book of Nahum, but he has a great influence. His work has left a deep mark on Mesopotamian people, especially the Jewish and the Christians, and thus for several reasons. First, the Eternal and he only, speaks directly through the prophet. 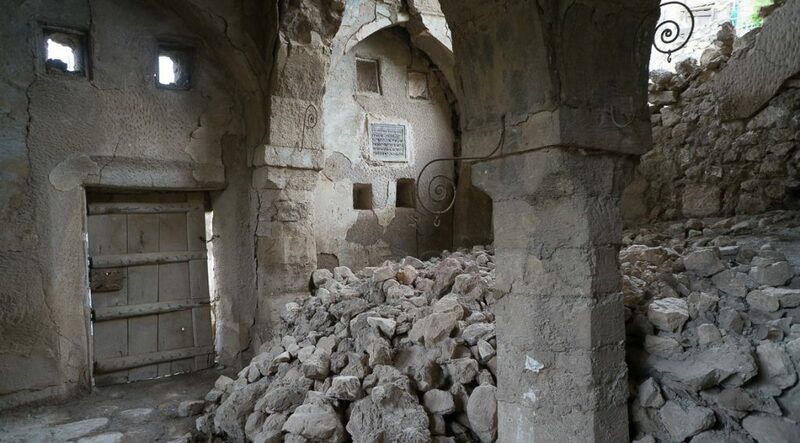 Second, the story relates the destruction of the city of Nineveh, the Assyrian capital, largest city of the largest kingdom in those days, « Woe to the bloody city, all lies, full of plunder, whose looting never stops! (N 3 :1)  Till everyone who sees you runs from you, saying, “Nineveh is destroyed; who can pity her? Where can one find any to console her? (N 3 :7) “. 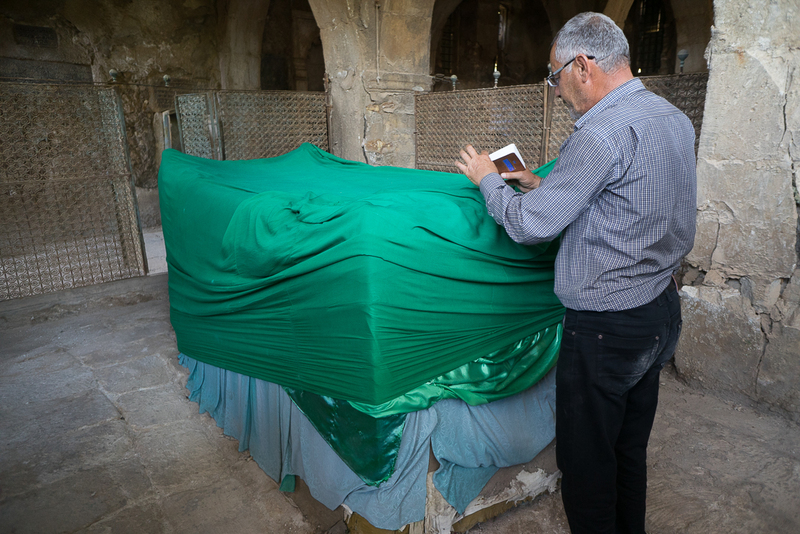 The preservation of the tomb of Nahum the Elkoshite, prophet in Nineveh, is actually much more than just a wink from History. It is also and even more the indisputable evidence that the Jewish identity was deeply implanted in the heart of antique Mesopotamia. 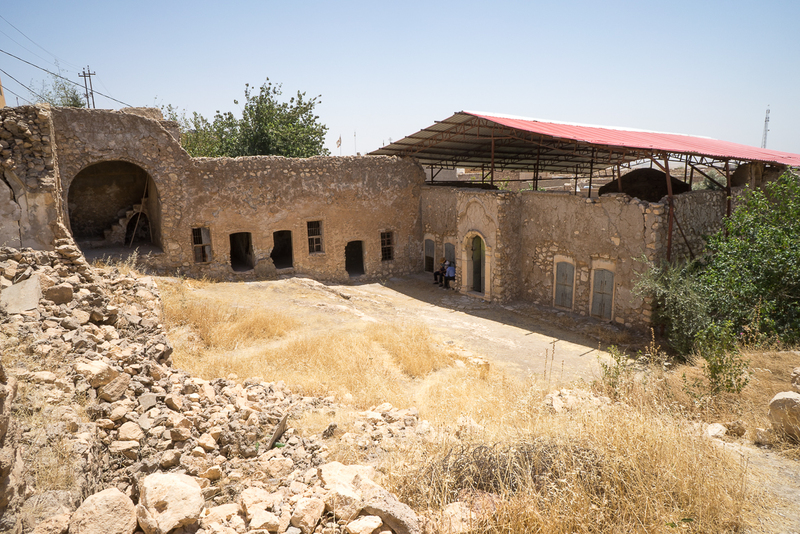 Evangelisation and Christianisation of the city of Alqosh, supposed to be one of the most ancient cities of northern Iraq, have indeed taken roots within the local Jewish community. 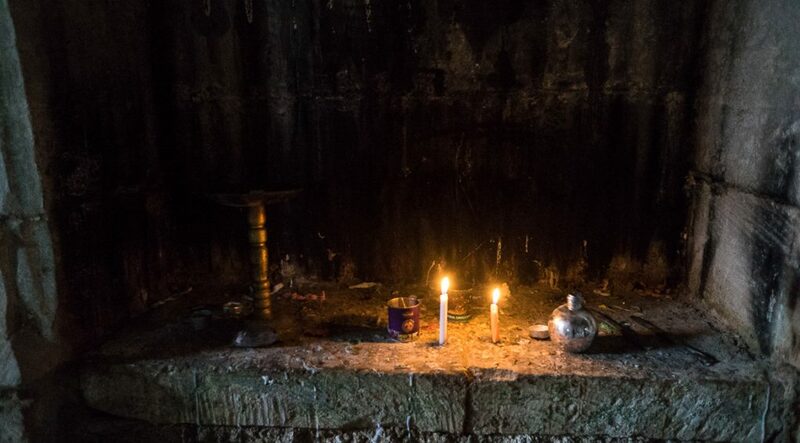 The identity’s origin is not only well known but also clearly accepted by the people from Alqosh. 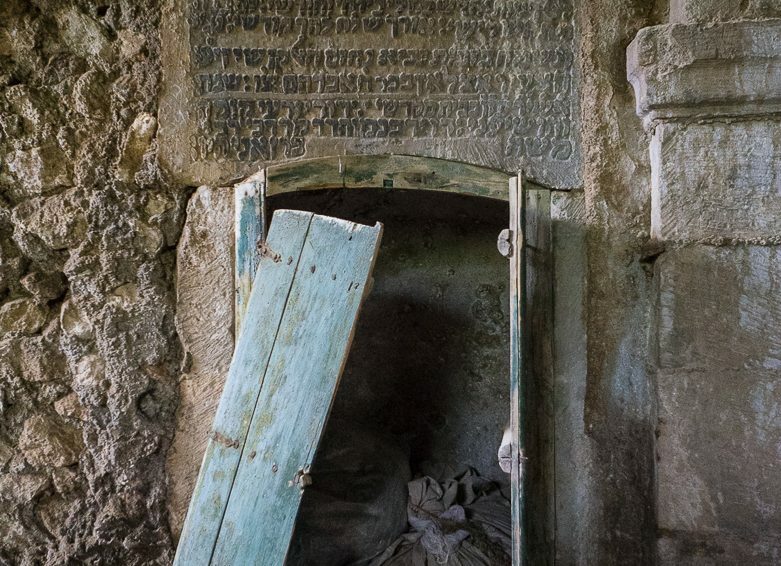 This evidence of the Jewish origins of Alqosh is also visible in the name itself of the town, which refers to the antique presence of a Jewish man called Alqon. Indeed, both Assyrian and Hebraic language sources assume the same origin, as in both cases, Alqosh would mean « God is my bow ». 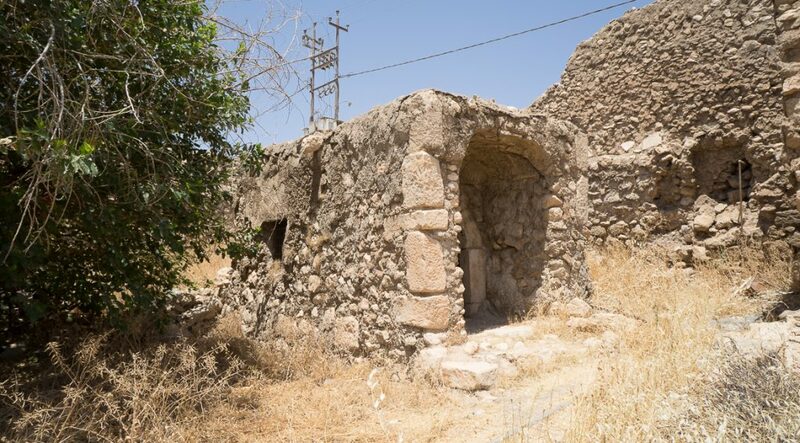 The Christian influence of Alqosh is due the very near monasteries of Rabban Homizd and Our Lady of the Seeds, whereas the Jewish influence of Alqosh is due to the survival of the tomb of the famous Jewish prophet Nahum and of his sister Sara. 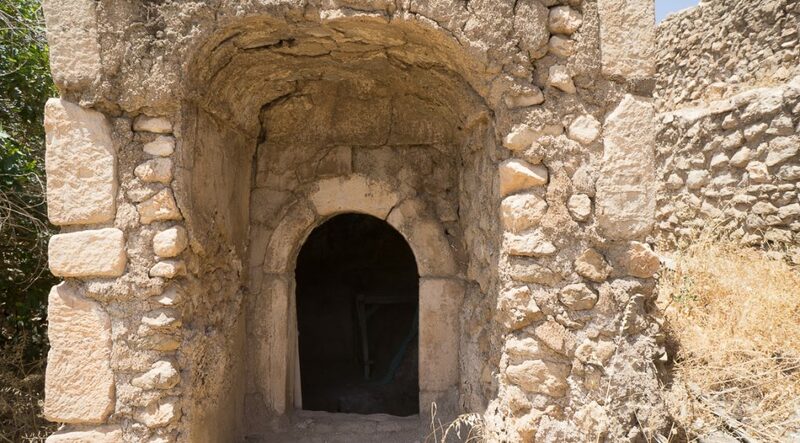 The ancient existence of Nahum’s mausoleum has been confirmed for a long time. 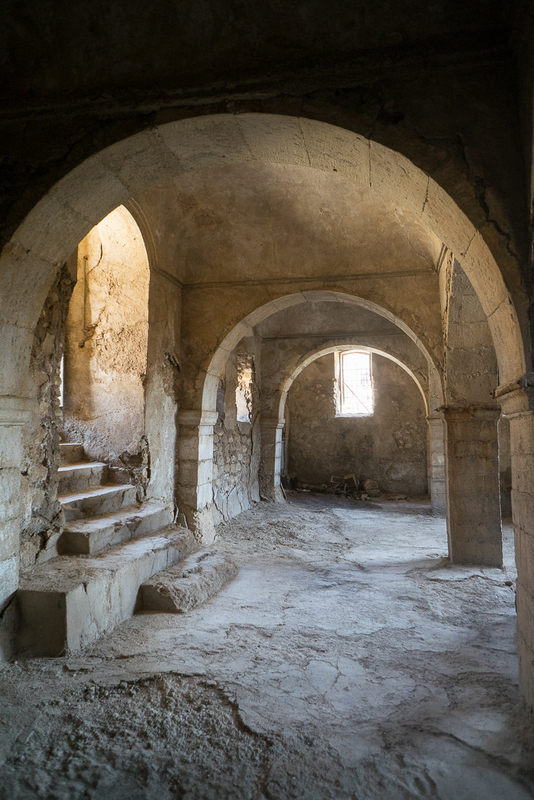 According an old identification, the synagogue (and not the tomb) would date from the 12th century, but some hagiographical elements would also date it from the 10th century. The current synagogue has been restored and rebuild quite recently, at the end of the 19th century. 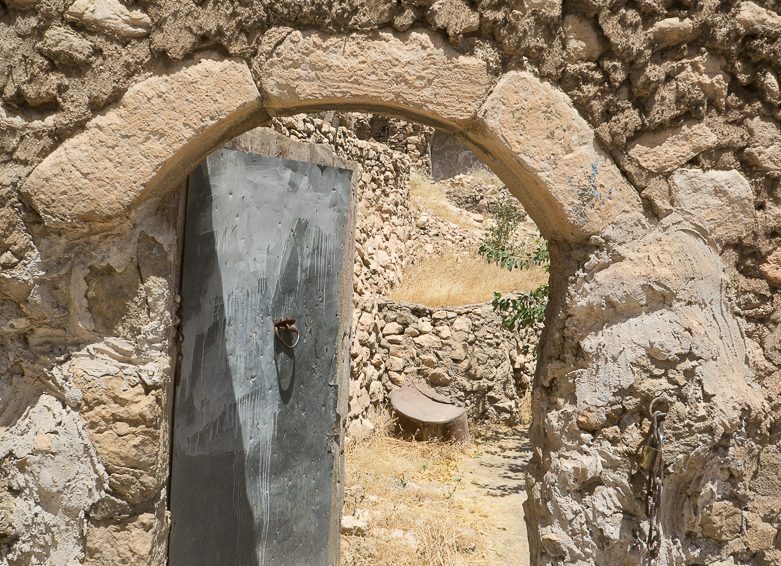 Both past and present travellers all relate the same fact: “the inhabitants from Alqosh all claim they possess the tomb of the prophet Nahum and his sister Sara.” Nothing indeed enables to prove the authenticity of the tomb. Only the tradition remains. Benjamin of Tudela, great Jewish traveller from Navarre in the 12th century, visited the Jewish communities in Mesopotamia and mentioned in his “Book of Travels” the tomb of Nahum “the Elkoshite”. The orientalist geographer Vital Cuinet reported, just like others before him, that “the local Israelites come here on a pilgrimage several times a year, grieving through their songs for the misfortune of Zion.” In the old days, a lot of Jews used to come here, particularly 50 days after the Passover. This tradition still exists today, even though the visitors are much fewer than they used to be. 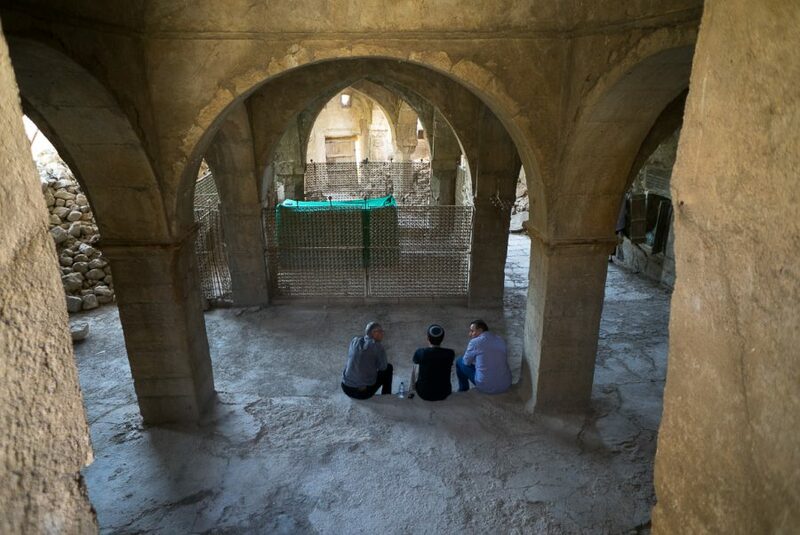 Members from the Jewish community in Iraqi Kurdistan do come here from time to time to meditate on Nahum’s tomb. As there is no Jew residing in Alqosh, a Chaldean acts as a guardian and keeps the entrance key to the mausoleum. In La Turquie d’Asie -Tome Deuxième, Vital Cuinet, Paris, Ernest Leroux éditeur, 1891, p. 829. In Nestorians and their Rituals : with the narrative of a mission to Mesopotamia and Coordistan in 1842-1844, and of a late visit to those countries in 1850, Rev. George Percy Badger, London : Joseph Masters,1852. In La Turquie d’Asie – Volume 2, Vital Cuinet, Paris, Ernest Leroux éditeur, 1891, p. 829. 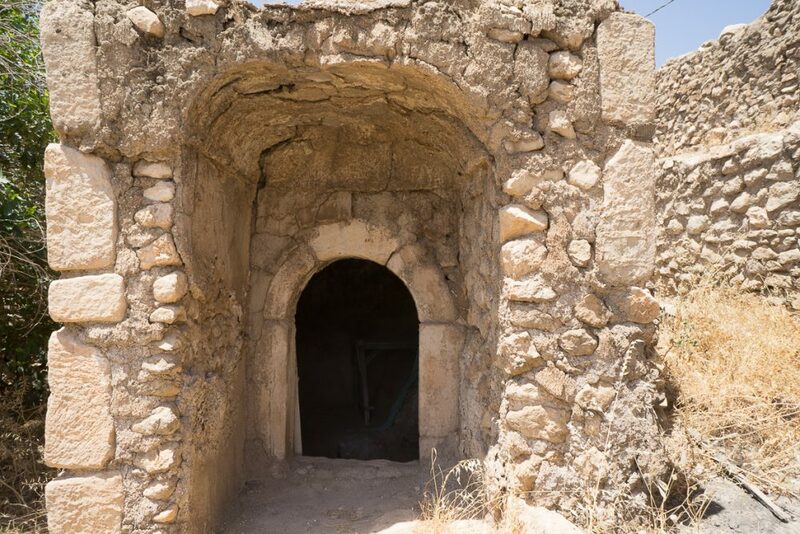 Where are Nahum’s remains ? 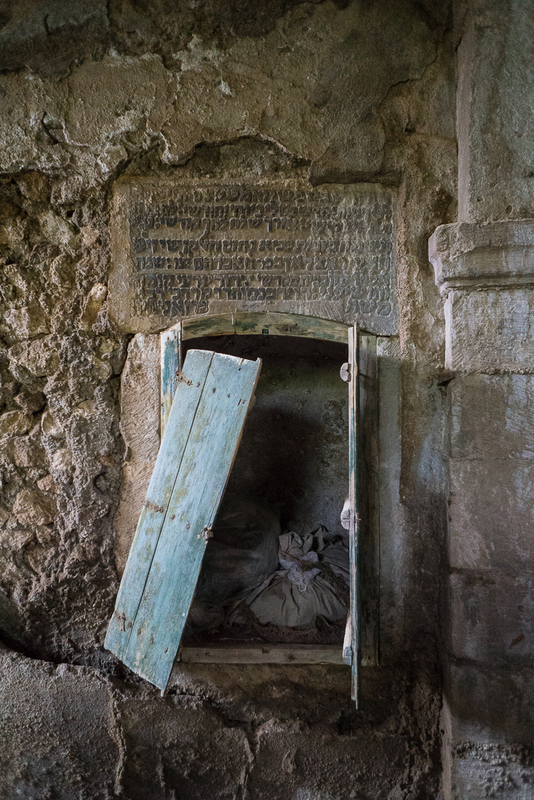 Nahum’s remains, replaced by donkey or sheep bones in the mausoleum, are supposed to have been moved in Mar Mikha church in Alqosh. 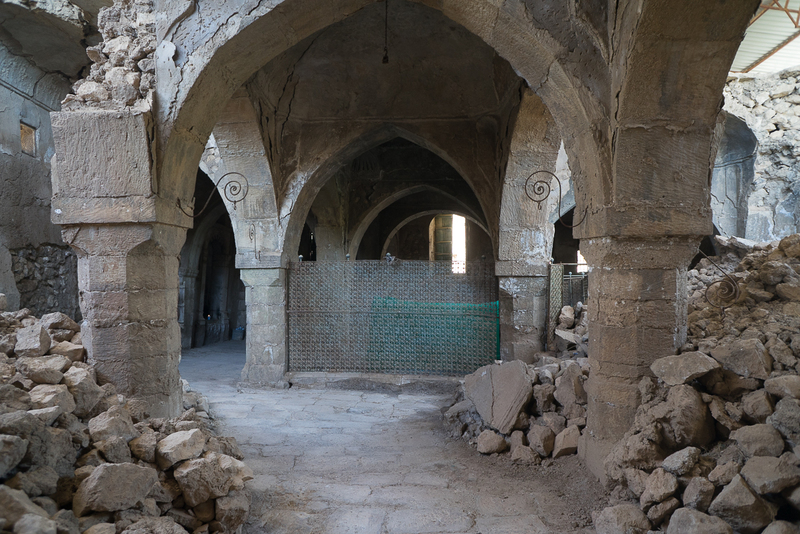 And indeed, in this church, there is a little text box at the bottom of the right pillar of the royal gate, which indicates in Syriac language the place of Nahum’s remains, in a jar embedded in the wall. This piece of information seemed quite credible to us. The question is now to authenticate the bones supposed to be Nahum’s. In the absence of scientific evidence, tradition prevails. Then why would Nahum’s remains have been stolen? The answer is well known. 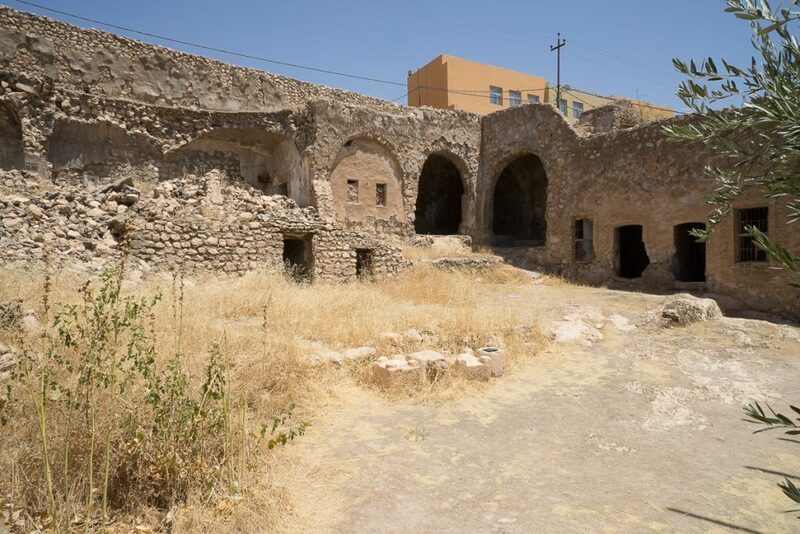 The Christians from Alqosh were deeply attached to the Nineveh prophet’s memory and had failed to become legally the owners of the synagogue. Therefore, they ended up stealing the bones. Apparently, the Jewish community gave up on going for a restitution trial, because the returned remains would probably turn impure. Nevertheless, the local tradition usually extends the historical grounds. 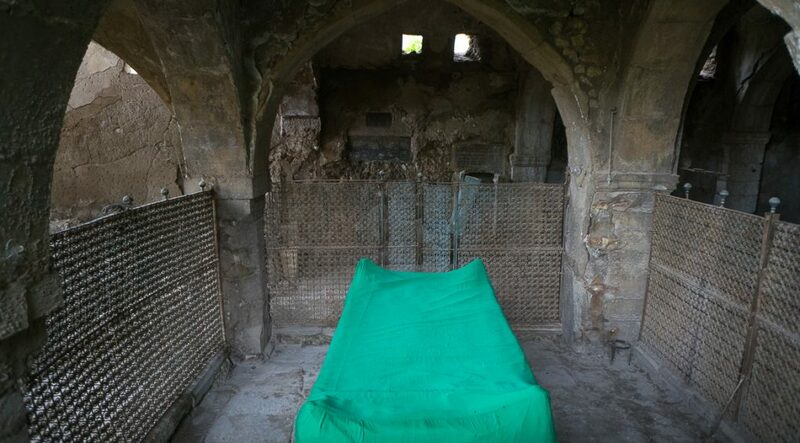 The remains in the mausoleum are still venerated as being Nahum’s. On the right when looking towards the altar, but left when looking towards the nave. This probably explains why Jean-Maurice FIey located the text box on the left of the royal gate, in his book, Assyrie Chrétienne. Nahum’s mausoleum is made of coated-stones, and the building is today partially dilapidated. 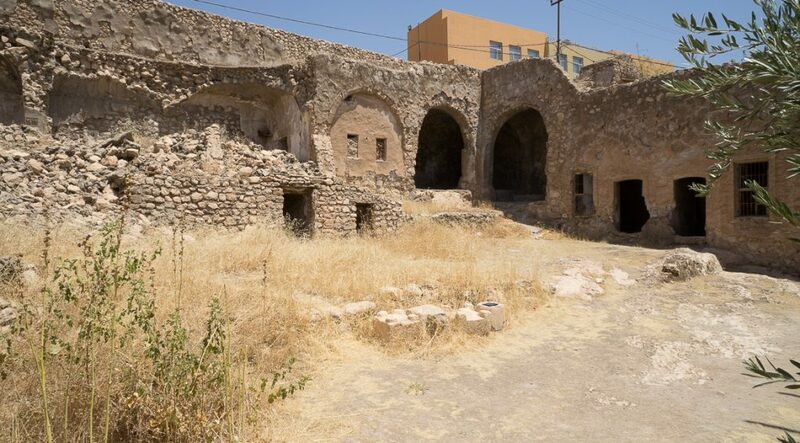 It undoubtedly is a synagogue, with the prophet’s tomb right in its centre, and in the inner courtyard, the tomb of Nahum’s sister, Sara, as well as a religious school and a storeroom. The building is enclosed by a surrounding wall, with several sides (west, south and east) that have collapsed. 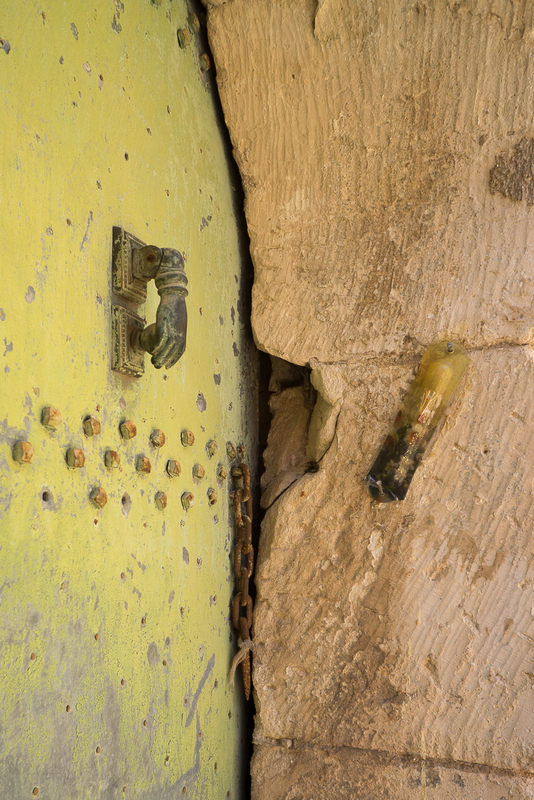 To get into the compound, you need to go on the western side through a little and basic obtuse-arched door, with a sheet metal leaf and a simple padlock. The inner courtyard occupies more than a third of the total area. The different rooms are situated on the northern, western and eastern parts. 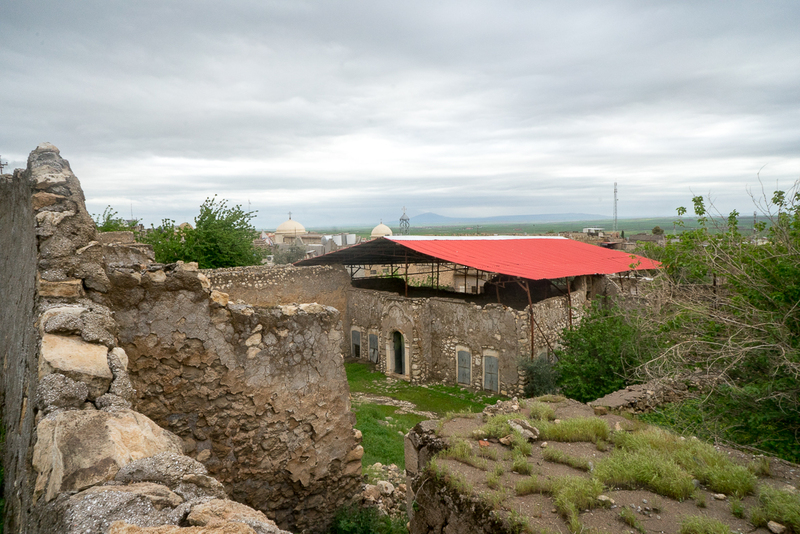 The synagogue and its mausoleum take up the southern half of the compound. 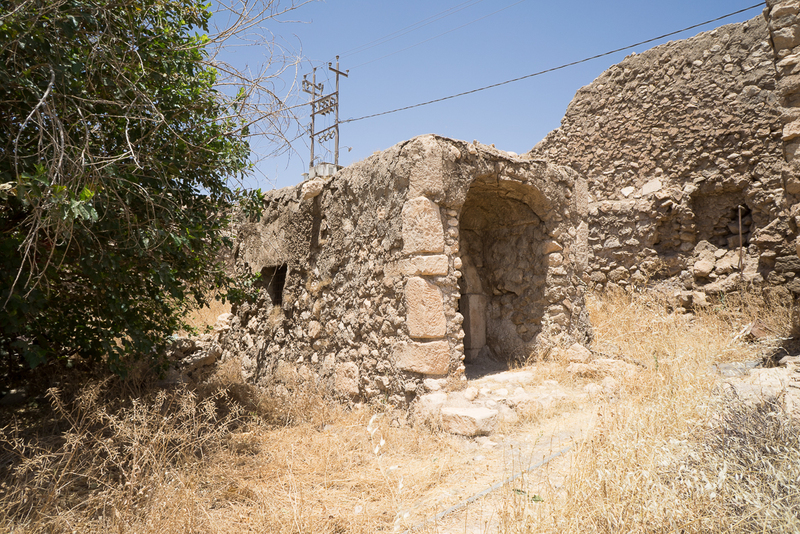 In the north-western angle stands the little mausoleum of Sara, Nahum’s sister. 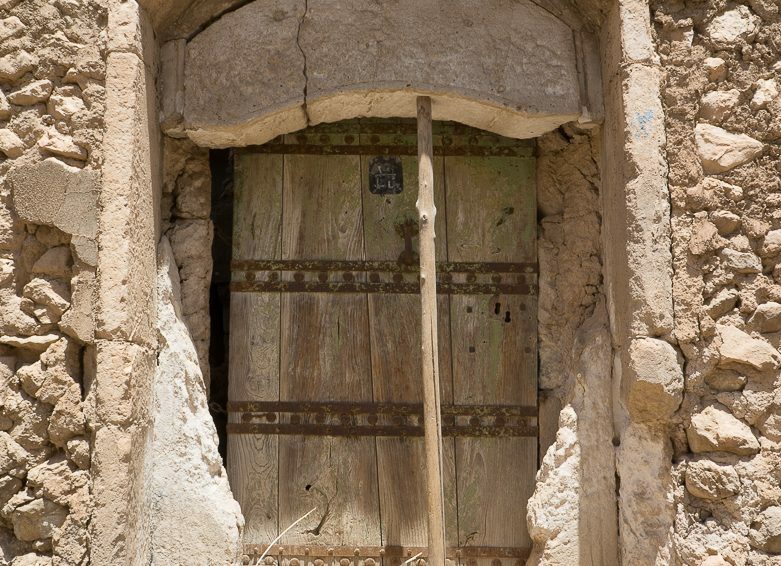 It is an empty room, closed with a very old wooden leaf, fixed upon a semi-circular-arched door. No visible inscription is to be seen. The two-storeys building of the school still stands on the other side of the courtyard, on the east and along the surrounding wall. Nothing allows today to give an idea of the life that used to exist in this place. 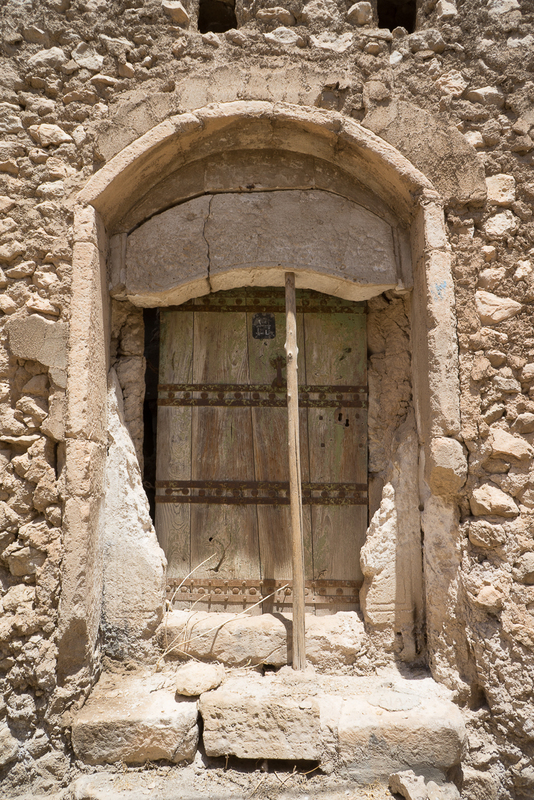 A narrow porch gives access to the synagogue, with a cut stone door whose pillars are topped by a semi-circular arch. Both zinc leaves are still operational. On the right leaf, there is a hand-shaped door-knocker. 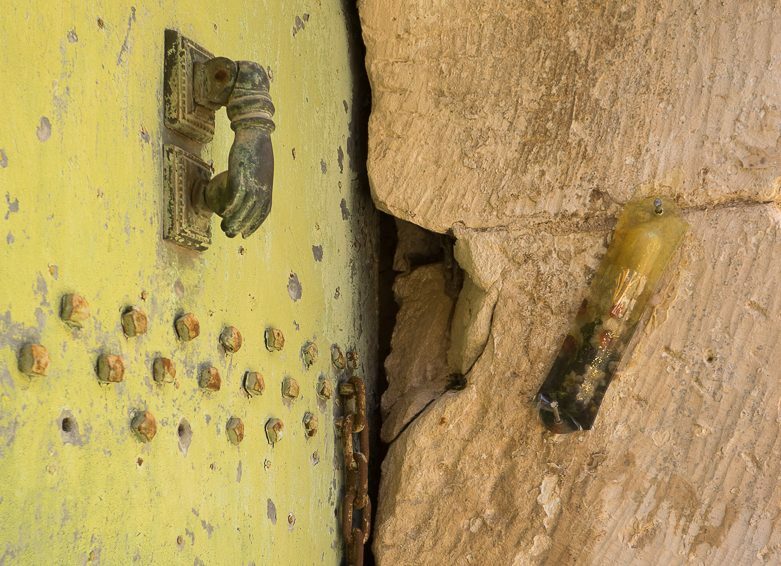 The mezuzah (scroll of Hebraic parchment contained in a cylindrical case) fixed on the right doorpost mentions the preservation of the Jewish identity of this building. Right after the entrance, a flight of 7 steps takes you down to the synagogue. It still has a nice architecture of coated stones. The groin vaults rest on several low and stable square pillars, whose pattern “features the 12 tribes of Israel”. 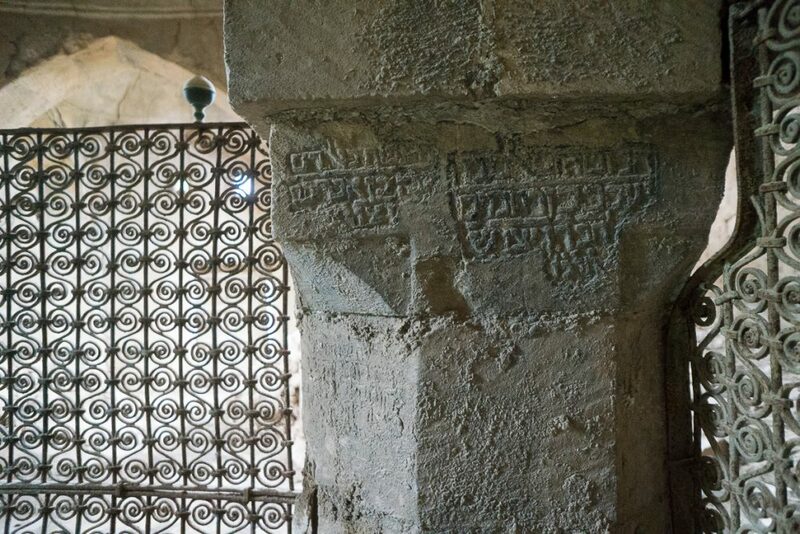 Nahum’s tomb stands right in the centre, enclosed with a thinly wrought metal fence and surrounded by the 4 central pillars, on which one can read, engraved in the stone, some Hebraic inscriptions taken from the Book of Nahum. 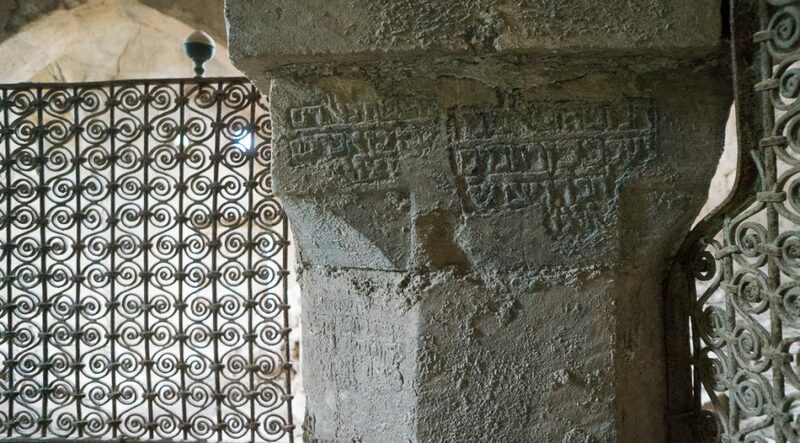 “These inscriptions are exactly the same as these in the Torah”. 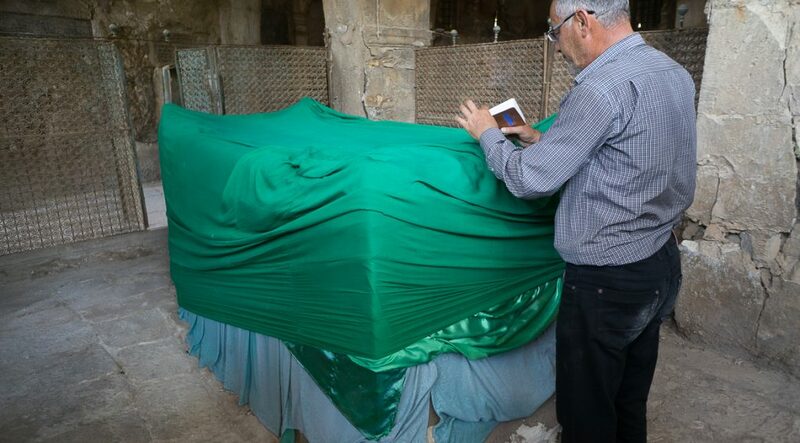 The rectangle-shaped and prominent prophet’s tomb is covered with a green cloth. Two niches are arranged within the western wall of the synagogue: one for the Torah scroll and the other one for votive candles. 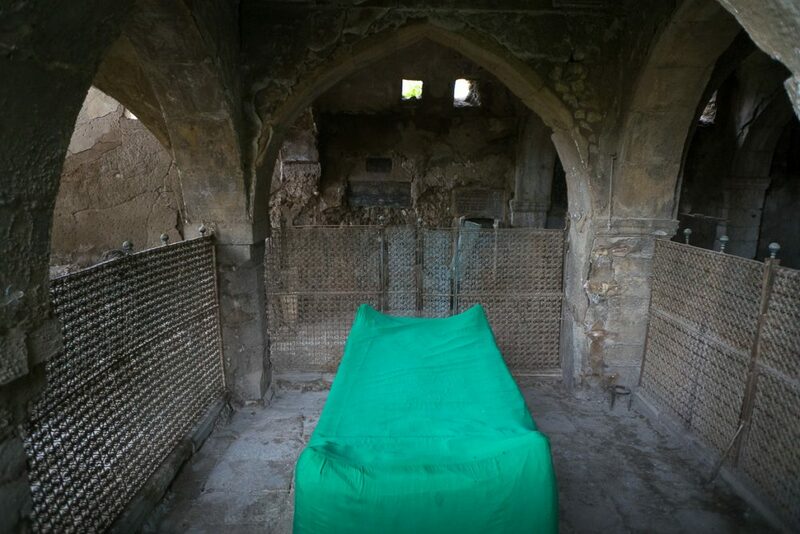 What strucks visitors and especially their minds is the ruined condition of the southern and eastern walls of the mausoleum. 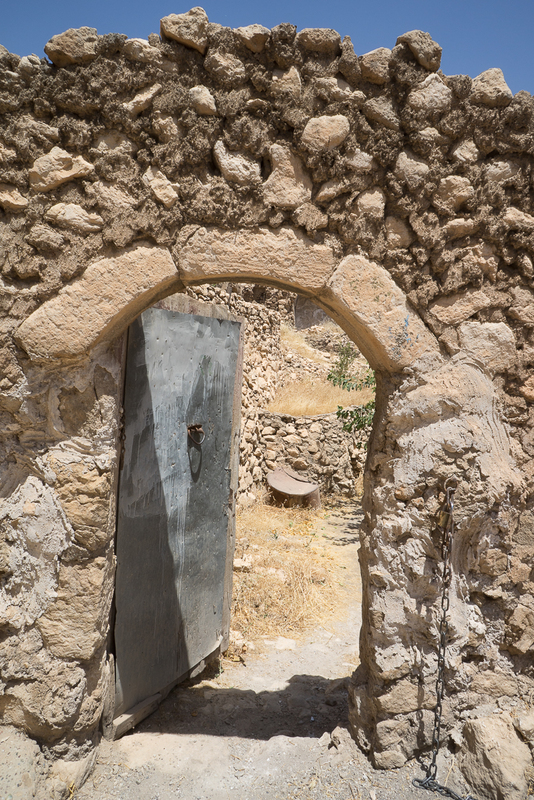 The dividing walls have collapsed, the stones piled up fall down slowly towards the tomb’s fence. 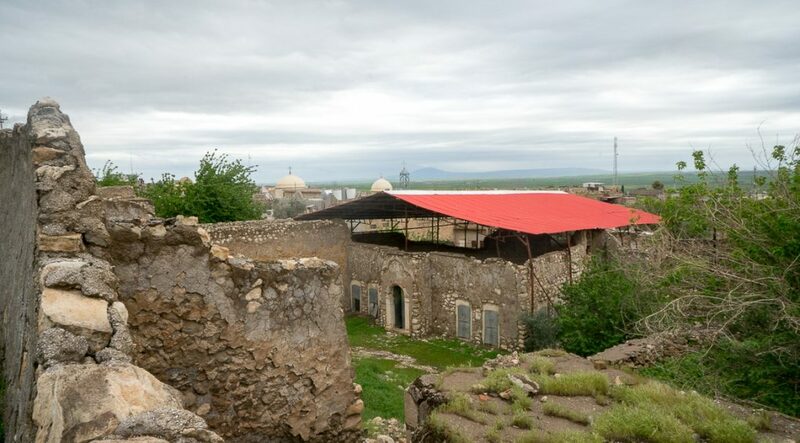 A roof made of sheets of metal has been built above it but offers very little protection. It was supposed to be the start for a restoration work which is no longer topical. The building stands now in an extremely fragile state. Source : Sherzad Mam Sani, representing the community of the Iraqi Kurdistan region. Video recording from July 20th 2017. Family pictures, videos, records, share your documents to make the site live!